Prevenge is a British comedy slasher film written by, directed by and starring Alice Lowe in her directorial debut. The film is about a pregnant woman - Ruth - whose partner died in a climbing accident when he was cut loose by the rest of his group. Ruth becomes convinced that her foetus is compelling her to murder and she tracks down the other people who were involved in the climbing accident for revenge. The film is due for release in cinemas in February 2017. 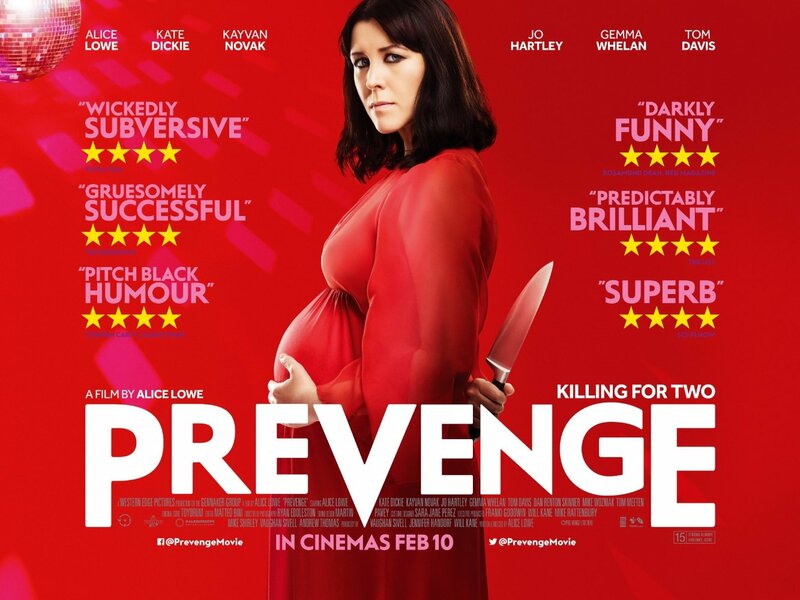 The majority of Prevenge was filmed in Cardiff in under two weeks whilst Alice Lowe was really pregnant.